Drink More Draught Beer (and Less Bottled Water) | Idealist Girl! One woman's quest to save the planet, fight injustice, eliminate misplaced apostrophes and rescue kittens. After spending a few days as Yosemite this summer, surrounded by throngs of tourists gawking at nature, the problem of plastic was elevated in my mind again. There were thousands of people visiting Yosemite while I was there, and without fail, they blithely carried an (effing!) plastic bottle around with them as they hiked through the (formerly) pristine wilderness. Plastic bottles that were sold to them by Yosemite National Park. Sigh. Manufacturing one plastic water bottle requires 3-5 liters of water. Plastic is made from petroleum. Seventeen million barrels of oil are dedicated to making plastic bottles each year. Additional oil is used to transport the bottles to retailers. The manufacturing of plastic water bottles accounts for 2.5 million tons of carbon dioxide emissions annually. Only 20% of plastic water bottles in the U.S. are recycled. 80% end up in the landfill or the oceans. Depressing, right? And yet those plastic water bottles are ubiquitous! They are cheap, convenient, and frankly, most people don’t even think about it. So here’s your nudge to think about it! In the U.S., we use 1, 500 water bottles per second. You heard me. 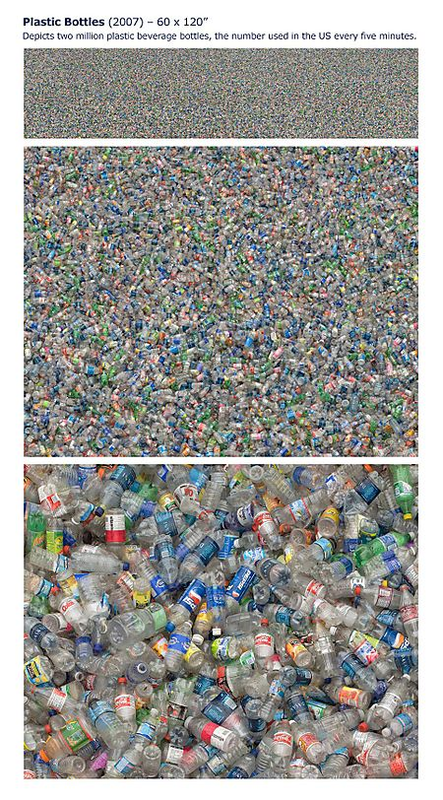 One thousand five hundred plastic waters bottles per second. Every day. All year. Doesn’t that number just blow you away? That number adds up to 130 million plastic water bottles per day. Just in the U.S.
Do you want to be part of that waste? I don’t think you do. So I challenge you to stop using plastic water bottles. Just stop. Drink your tap water. Drink from drinking fountains. Bring a reusable water bottle with you. Ask for a paper cup. You will help the planet. Your may improve your health. You will definitely save money (the average American shells out $588 per year on bottled water). Need some resources? Here’s a source for some good quality reusable bottles, filters for your sink, and collapsible bottles (lighter weight, great for hiking or carrying around all day). What do you do if you can’t do any of the above? Be like my husband and have a beer. On tap, of course! Genetically Engineered Foods? Not on My Plate!